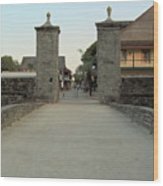 There are no comments for Twilight At The City Gates. Click here to post the first comment. 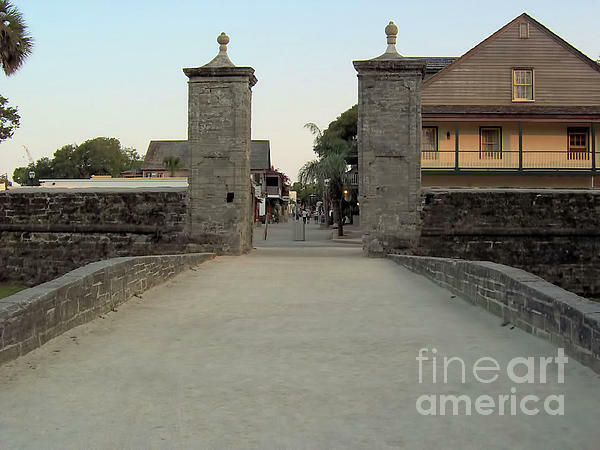 Twilight At The City Gates by D Hackett The Old City Gate is a noted landmark in St. Augustine. 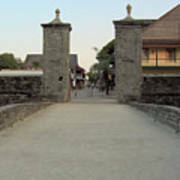 Constructed of coquina in 1808, it was built at the time of the last reconstruction of the Cubo line. The word cubo defines round, square, or polygonal towers placed in ancient and medieval defensive walls to protect their flanks. 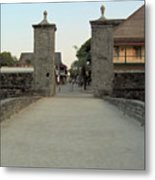 The gate columns still stand today and reconstructed sections of the earthworks adjoin it to the east and west. The gate opens onto the northern end of St. George Street which leads through the heart of the old city.